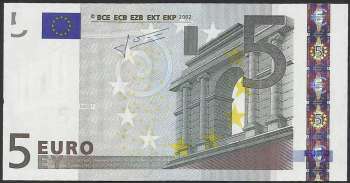 In September 2011, there were approximately 1,507,467,000 five euro banknotes in circulation around the Eurozone 17. 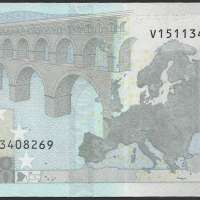 As of December 2012, there were approximately 1,613,104,700 €5 notes in circulation around the Eurozone. That is approximately €8,065,523,400 worth of banknotes.